As we’ve gone through this merger process, I’ve seen firsthand how our opponents can get REALLY creative in their claims. There is no better example than when they try to talk about the impact that the New T-Mobile will have on jobs. So, let me be really clear on this increasingly important topic. This merger is all about creating new, high-quality, high-paying jobs, and the New T-Mobile will be jobs-positive from Day One and every day thereafter. That’s not just a promise. That’s not just a commitment. It’s a fact. To achieve what we’re setting out to do – become the supercharged Un-carrier that delivers new value, ignites competition and delivers nationwide real 5G for All – the New T-Mobile will provide an amazing and compelling set of services for consumers. There is no doubt that growth will result from that. If we build it, they will come. However, it’s unfortunate that those dedicated to protecting the status quo think it is okay to mislead and scare people into thinking that their made-up “numbers” about jobs at the New T-Mobile are accurate… it’s so bad, that just a few weeks ago we found that opposition-funded economists had practically pulled numbers out of thin air to justify their claims. We also keep seeing the opposition try to use projected layoff numbers from an analyst’s projections that were based on a completely different deal at a completely different point in time to discredit this merger. It’s SO bad that the head of the Communications Workers Association (CWA) was bold enough to refer to those completely unrelated numbers in a CONGRESSIONAL HEARING. I guess if the real numbers don’t tell the story you want, you can just make up new ones? It’s actually offensive. At the hearings, I raised my right hand and swore under oath to tell the TRUTH... and the truth is that the New T-Mobile will CREATE JOBS. Let me be clear about the basis of our job creation plans: the New T-Mobile has committed to invest nearly $40 billion in network and business expansion over the first three years alone. That’s a massive amount of money invested in an incredibly short amount of time. We’ll use these resources to focus on rapidly building out our nationwide 5G infrastructure to ensure America’s leadership in the 5G era. At the same time, we’ll be building out our customer care resources to support new customers, growing our retail footprint, especially in rural America, and expanding into new businesses. The New T-Mobile will have more than 130 million customers – and that number will continue to grow. To offer the level of support we give our customers, we’re going to need A LOT of people. We’ve already committed to opening five new, state-of-the-art New T-Mobile Customer Experience Centers (CECs) and that’s in addition to expansion at our existing sites after the merger is approved. Just yesterday we shared that we selected Kingsburg in Fresno County, California as one of the new locations – joining already announced sites in Overland Park, Kansas and the Greater Rochester Area in New York. Each new CEC will create about 1,000 jobs. We’ll also be expanding our Team of Experts (TEX) care model, which is a highly-personalized approach to taking care of customers that requires more employees than Sprint’s current care model does. 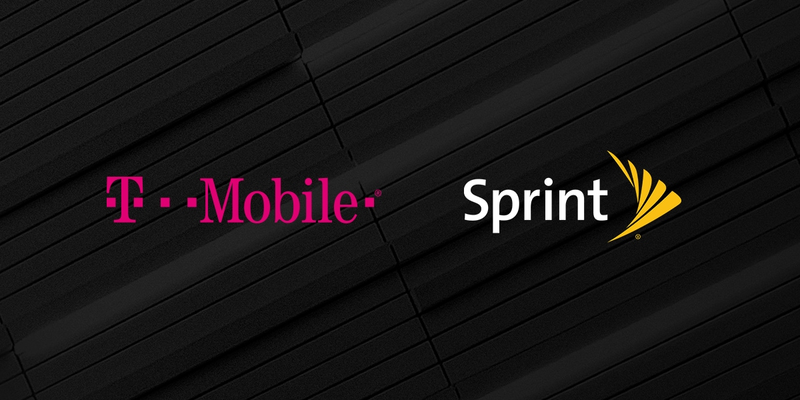 This also means transitioning Sprint’s largely overseas customer care model to T-Mobile’s domestic-led model, bringing thousands of overseas jobs back to the United States! These combined efforts will create nearly 5,600 new American customer care jobs by 2021. And New T-Mobile will employ 7,500+ more care professionals by 2024 than the standalone companies would have. We’ve got big plans for our retail stores, too. The New T-Mobile will open 600 new stores to serve rural areas and small towns, that neither T-Mobile nor Sprint serve today, directly resulting in approximately 5,000 new retail jobs! I want to reiterate a commitment I’ve made a few times before, because it’s really important to me personally: we will offer a job with the New T-Mobile to every single employee of T-Mobile and Sprint working in one of our retail stores. That is our commitment. Our frontline is first because our customers are first – and that will never change! In total, New T-Mobile will have more than 11,000 additional employees on our payroll by 2024 compared to what the combined standalone companies would have! Check out our track record, because we’ve done it before. Take a look at our 2013 MetroPCS acquisition. Back then, the same group that is throwing these fictional numbers for the New T-Mobile predicted the then-Metro acquisition would eliminate 10,000 jobs. How accurate were they? Ummm, not even close! Since then, we have doubled Metro’s customer base and store count, and expanded to serve five times as many markets. As a result, we’ve added tens of thousands of jobs at Metro, including employees, dealers and contractors. Compare these results to others in our industry who continue to lay off workers and it’s pretty obvious we’re not like the others. We never have been, and we never will be. Side note – we really DON’T want to be, either. And all of this is not just about us. We would be reticent to overlook the impact that the New T-Mobile’s accelerated deployment of 5G will have on the economy and job growth. Accenture recently estimated that the deployment of 5G would stimulate $275 billion in investment and result in $500 billion in economic growth… and up to 3 million new jobs! You can see why I get so excited about the incredible opportunities the New T-Mobile presents! Yes, these are big numbers, but they’re REAL numbers! The moral of the story is this, don’t be fooled by those who are throwing out made-up math and unfounded conspiracy theories. They want to keep the broken status quo intact, continue to dominate the industry and limit choice – NOT to take care of consumers. The New T-Mobile is ready to bring competition to the big guys. And in order for us to do everything we’re setting out to do – bring American consumers choice, competition and value – we’re going to need to create more jobs from day one… and every day thereafter.